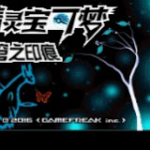 Pokemon Snowy White is a Chinese hacked Pokemon game and based on Pokemon Emerald Chinese Translated Version. 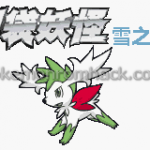 It is the new version of Pokemon The Strongest Pure White in 2018 from the same author – Panda Face. 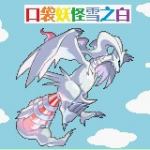 Pokemon Tioh – The Mark of The Sky – a hack from Pokemon Emerald will take you to a world of two Sky Guardians Latios and Latias. It has been a long time since we last saw these two legendary Pokemon in a game. 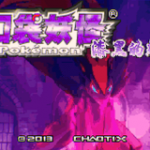 Pokemon Evil World : A dark world of Pokemon… A dark world where people lives with fear – anxiety and manything else. There is no light, just evil everywhere. Do you know what that is? 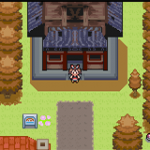 Well, that is the basic place of Pokemon Evil World – a Chinese hack of Pokemon Emerald. 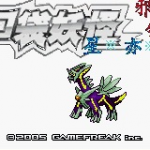 Pokemon The Strongest Pure White is a Chinese hacked Pokemon game and based on Pokemon Emerald 2011 Chinese Translated Version. The maps of this game are taken from the real city Los Angeles of US. 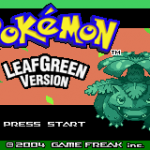 Pokemon Ebony Phantom is a Chinese hack of Pokemon Emerald. It has been divided into two different versions: Ebony Phantom 4.5 EX Black/White and Ebony Phantom 4.5 EX Diamond/Pearl. 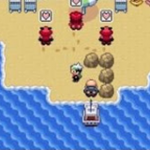 Pokemon Evil Drill 1 Star Stone is a hacked version of Pokemon Emerald. Well, since this is a Chinese hack… nearly all of us will not know what are the sentences that characters speak.